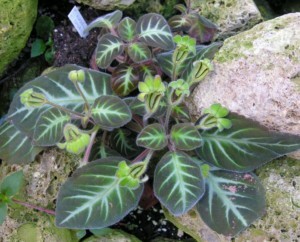 Gloxinella includes but one species, G. lindeniana, which has historically been included in both Gloxinia and Kohleria. Molecular work has demonstrated that it is not closely related to either of those genera. G. lindeniana is more closely related to Monopyle, and it has a Monopyle-like fruit. The flowers are fragrant.